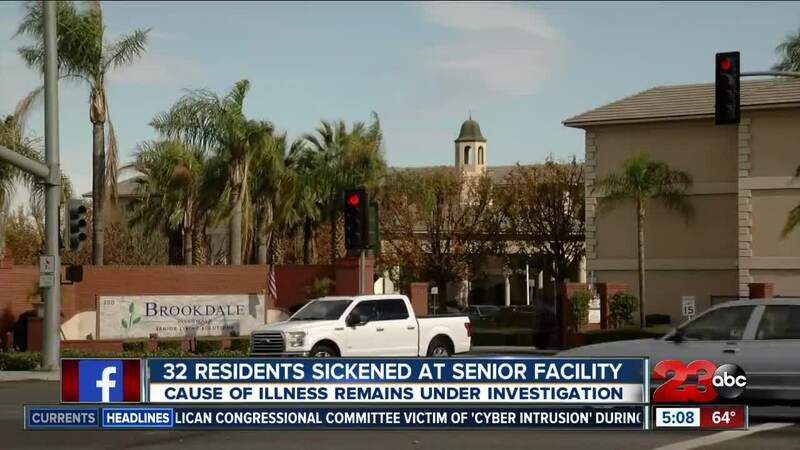 BAKERSFIELD, Calif. — Kern County Public Health says they are investigating two separate reports of an undetermined illness at a Bakersfield assisted living facility that sickened 32 residents. Officials say they received a report from Brookdale Senior Living on Friday, November 30, that 32 residents at their facility on Calloway Drive - Brookdale Riverwalk- had become symptomatic with vomiting, nausea and diarrhea. Six of those residents had to be taken to the hospital for treatment. Public Health says a second report was received from someone unrelated to the facility regarding the same symptoms. Public Health says all the resident's symptoms were resolved by Saturday, December 1, and five of those hospitalized were released from the hospital. They say one case ended up being unrelated to the incident. According to Public Health, Brookdale Senior Living has been cooperating with their investigation and have spoken with the health department about their protocols for situations like this. The department say they are "happy" with the procedures they currently have in place. Health inspectors and epidemiologists from the health department are conducting an investigation at Brookdale Riverwalk, but Public Health says there appears to be no ongoing health threat. They say they are looking into what food was served, who was serving it and the source of the food. Public Health says Brookdale Senior Living has reported the incident to the California State Licensing Board, which oversees senior living facilities.